When beginning to work out for the first time, the first exercise I tried to do was to use the dumbbells to build up my arms. That is when the instructor caught hold of what I am doing and explained the difference between useful core strength and body building. I should first look to build my core strength before I could bulk up the muscles and flex it, also there is a risk of muscle detachment or broken bones if done wrong. 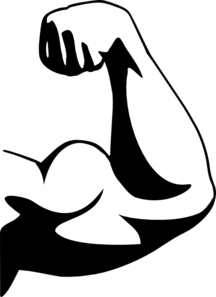 My idea of building up muscles to flex was wrong and counter productive if taken the most obvious and easy route. The scenario is also similar when I look at the choice of technologies when choosing to implement a new software project. The technology choices are often a trade off after considering so many concerns, some of the concerns may not even be technical in nature. If we chose a technology only because it is cutting edge or the latest one, then once the development hands over to maintenance; they may face lots of trouble because of the choice made. The choice of technology should never be something that is analogous to flexing the muscles. It is always context specific, if the project’s main goal is to show case technical prowess and the software may be replaced within a short period of time with another one written from scratch; then there is no problem to use the latest and state of the art technologies so that we can flex our muscles. There are too many questions to ask ourselves and consider the trade offs before we settle on technology decision. We have to consider maintenance team’s capability, fault tolerance, performance, life time of the software, scaling, frequency of maintenance and enhancement releases, which country and kind of internet connections will users use. There is no one size fits all or new kid in the block to address all the concerns at once, the choice is always a trade off.